The Chiefs brought Mike Vrabel over from New England in the Matt Cassel trade and quickly pointed out his leadership skills as part of the Mike Vrabel package. 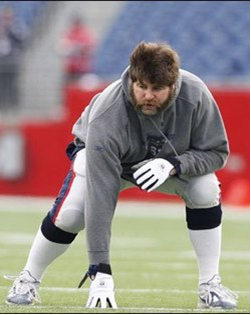 Because of the high praise from Chiefs management, it was strange to see Vrabel stay away from workouts last year. He didn't even draw the ire of Todd Haley. The coach said last year he was in contact with Vrabel throughout the offseason so he wasn't worried about his absence. 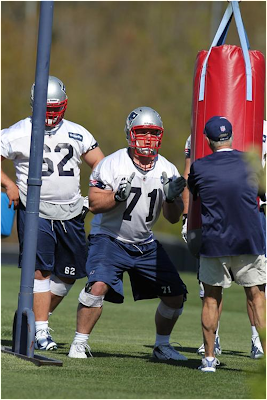 Fast forward a year later and Vrabel is attending OTAs -- something he didn't do with the Chiefs last year but did do the previous seven seasons in New England. Vrabel's decision to attend OTAs has drawn some praise from the Chiefs head coach. "We've made a big jump from this year to last year and I think Mike -- who's been around some great teams -- that makes you feel good as the head coach that you have a guy like that here and on board like the rest of the guys," Haley said on the Jim Rome Show this week. "We've had every guy here working hard for the last few months. We finally got to get into some football here in the last week. I really feel that we've made progress. And I'm excited about it. 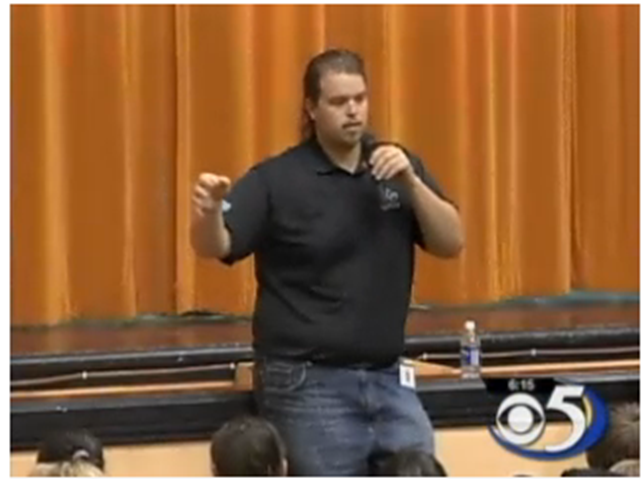 And when you hear someone like Mike verbalize that, as a coach, it makes you feel good." And the new Chiefs have already taken notice of Vrabel. 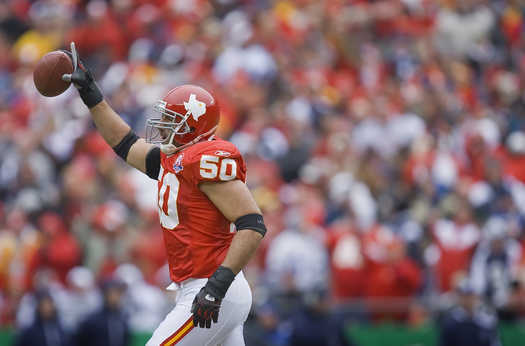 Eric Berry was asked who the leader of the defense was and predictably responded, "I've been looking up to the guys that have already played," Berry began, "especially Mike Vrabel. "He knows the defense. He knows all the calls. 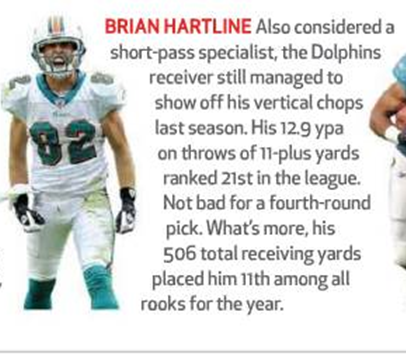 He's one of those guys that pretty much quarterbacks everything from the defensive side of the ball. So, it's always pretty cool to have a guy like him on your side." For Vrabel, he says showing up to things like the OTAs is part of the deal and last year's absence was a "totally different situation." "I chose to re-sign back here," he said. "It was something I wanted to do. So, with that comes going to OTAs and coming to minicamp. It wasn't even a question of showing up. It was what I did in New England and it's what I'll do now. I workout at my home and then come here for the OTAs." It's nice to hear that he considers that part of the whole package, even though the workouts are voluntary. It's especially nice to hear in light of recent "hold-outs" that seem silly. In the 2008 NFL Draft the Colts selected two tight ends, the first was Jacob Tamme in the fourth round and the second was Tom Santi in the sixth. 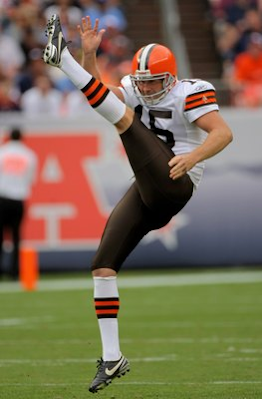 One of Tamme or Santi was to eventually replace the departing Ben Utecht, with Santi being compared as a Utecht-clone at the time he was drafted. Unfortunately, since Santi joined the team he has suffered numerous injuries, missing time for shoulder, hand, and back injuries in his first two seasons. Despite these injuries, Santi has shown remarkable potential, mainly as a receiver, breaking out in 2009 against Baltimore when he caught six passes for 80 yards, and showed the kind of hands and straight-line speed that should give fans something to be excited about. He also showed glimpses of his abilities in one of the biggest comebacks in Peyton Manning’s storied history of comebacks. In week five of the 2008 season the Colts traveled to Houston and needed to score three touchdowns, the first of which came after Manning completed a seven-yard pass to Santi with four-minutes and fourteen-seconds remaining in the game. The difficulty for Santi is that he will need to not only stay healthy this year, particularly during the off-season, to keep his roster spot in 2010, he will also have to compete for time with an even busier roster at tight end. For the last two seasons, former undrafted free agent Gijon Robinson has received the bulk of the starts opposite Dallas Clark, when Indianapolis has chosen to start with a two tight end set. When Polian and company decided to draft Brody Eldridge in the fifth round in this year’s draft the team took on a new dynamic. First, it would seem Eldridge is more direct competition for Robinson than he is for Santi but when Santi was brought onto the team to compete with Robinson to take over for Utecht, he belongs in the discussion. Additionally, although Eldridge was not known in any way as a receiving tight end, as he caught only 13 passes for 98 yards in four years at Oklahoma, Manning has not displayed fear throwing to his weaker receiving targets and could develop Eldridge in the passing game. 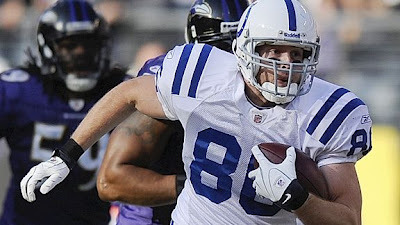 Obviously it would save the Colts a roster spot to keep only three tight ends, if Eldrige can fit the bill as a receiver, which leaves it up to Santi to separate himself from his competition and prove the most capable to line up across from Clark as a receiving option with above-average blocking capabilities. Tamme has potential to take-over for Clark, though that is well down the road, but is really limited to special teams abilities, and as a back-up receiver. It is up to Santi to stay healthy, display his receiving abilities, improve as a blocker, and potentially earn a permanent spot on this team. Otherwise, Santi will likely be the odd man out in the tight end competition for the 2010 roster. Hopefully Santi is aware of this and gives fans something to be excited about during summer training activities and the pre-season. On the Verizon Center practice court, after a play resulted in a basket against her group, the Washington Mystics' newest veteran turned to talk to the young players next to her. Between possessions of a scrimmage against the Polish National Team, she diagrammed a play on the bench. During preseason games she occasionally tapped a teammate's shoulder after regaining possession to make sure nothing was left to chance when the clock started again. Katie Smith jokes that she talks too much sometimes, but her new teammates on the Washington Mystics are perfectly content to soak up everything the all-star guard observes and notes, because if there's one person who knows the road to the top it's Smith. "I like to understand, I like to know that we're all together on the same page. We all have to be accountable," Smith said after practice last week. "I just hope they have a confidence in me and a belief in me that they know Katie's got hers just like everyone else has theirs. We have to have that trust, so that while we'll all occasionally make mistakes we know we're in this together." So far Smith's transition appears seamless. She's jelled with the new group, serving whatever role Coach Julie Plank's lineup combinations require. But the real test for Smith and the Mystics begins when they open the 2010 season at 7 p.m. Saturday on the road against the reigning WNBA champion Indiana Fever, the team that knocked Washington out of the postseason last September. In the weeks since Washington announced Smith's signing, the team was struck with what many outsiders considered a devastating blow when it lost franchise player Alana Beard for the season after she underwent surgery on her left ankle. While it may put more pressure on others to perform consistently, Smith doesn't believe it wreaks havoc with the Mystics potential. "The margin for error for us might be smaller and everyone will have to be locked in but I really have a lot of faith in these players," Smith said. "In Detroit we always had a chip on our shoulders because we felt like no one wanted us to win. For [Washington] maybe not being picked and people writing us off could keep feeding that hunger and that little chip on our shoulders that says: 'We're coming to get you.' "
That hunger, Smith said, was one of the first things she noticed upon her introduction to the Mystics. 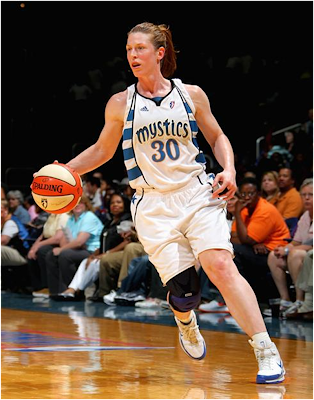 During her run with the Detroit Shock, which included two titles, she saw sporadic lulls in motivation -- a problem she doesn't think will arise with this Washington team. "Now that there's a framework in place everyone wants to win so badly," Smith said. "It's all about finding ways to be consistent every day. The younger players still teach me things, so hopefully I can do the same for them." 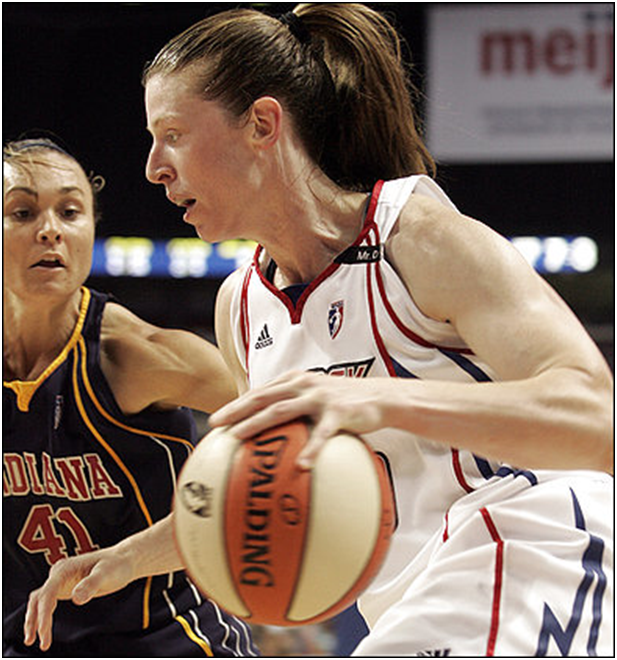 Smith chose Washington because she believed the Mystics were eager to win. With the first opportunity to pick her team after 11 seasons and 5,446 points, two WNBA titles and three Olympic gold medals, Smith wanted a coaching staff she felt comfortable discussing the game with. She already shared a mutual respect with Plank, and it hasn't taken long for her veteran savvy and high expectations to set an example for teammates, who after some admitted initial disbelief, are enjoying playing alongside someone who often tormented the Mystics as an opponent. "I'm glad she's on my team because it was hell trying to set screens on her the past couple years," Nakia Sanford said with a laugh. "There was some initial, 'Wow she's really here,' at first. Then, you see her work ethic, you understand how she's been able to sustain her impact for so long. Her defense alone is already really rubbing off on all of us." Entering her 12th WNBA season at age 35, Smith's durability could be a question mark. She missed seven games in 2009 with a herniated disc that numbed and weakened her left leg, but Smith insists she's healthy. The wear and tear over the course of a career could shrink Smith's overall offensive point production but it will likely have little effect on a calm on-court demeanor that should help the Mystics in close games. She can play point guard or small forward, and even power forward depending on the specific matchups. She can aid in half-court scenarios and also lessen the pressure on members of the backcourt, but her poise in key situations is crucial. "Her leadership definitely shows, from Day One it has, even though she was new here," Monique Currie said. "She's been around the league for a long time; she knows what it takes to win. For her to be on our side, to help make us all better is something I welcome." 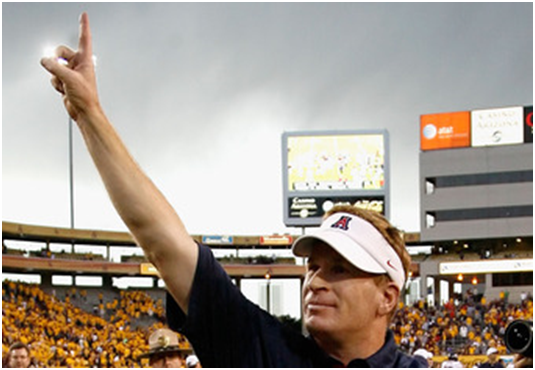 On New Year's Eve 2007, Arizona State had just played in the Holiday Bowl, while Arizona was in the midst of a 10-year bowl drought. Just two years later the tables have turned. Arizona is coming off a Holiday Bowl appearance and second place finish in the Pac-10 while ASU sat at home for a second straight year. Where we stand today though, that's where we stand with the state of football in Arizona. The Wildcats are optimistic about the upcoming season despite having to replace seven starters on defense thanks to an potent offense led by Nick Foles. Arizona State, on the other hand, is looking forward to having a tenacious defense that flies over the field but is worried about an offense that was inept for most of last season. Arizona has been able to do this thanks to Mike Stoops. Less than two seasons ago Stoops was in the same spot Erickson now stands. He has taken a program that had bare cupboards in terms of what they had; no stars, no NFL-ready players, no depth, and he has turned it into a program that was six seconds away from their first-ever Pac-10 title and Rose Bowl berth. How has Stoops done it? The once fiery coach has been able to develop lesser-known and recruited players to Tucson and develop them into NFL caliber players. Take the 2008 recruiting classes. ASU was able to convince Gerell Robinson, Ryan Bass and Jarrell Barbour (all four star recruits at the time) to go back on their commitments to Arizona and go to play in Tempe. Arizona recruited Juron Criner, Keola Antolin (three star recruits) and David Douglas (a two star) instead. Turn the clock ahead to 2010 and Criner is making the case to be the top receiver in the Pac-10, while Douglas has been a solid slot receiver for Arizona. Antolin has been solid as the part-time starter at running back for the Cats. Bass and Barbour are no longer at ASU, while Robinson has disappointed at receiver. He has been able to find those diamond in the rough players, going out of state to California and Texas where the talent is much better than Arizona. The last time an elite recruit from Arizona signed with an in-state team was 2004, when Zach Miller signed with ASU. That was until Marquis Flowers signed with the Wildcats this past recruiting cycle and with Arizona's possibly best recruiting class coming in 2011, there may be no better time to be the top dog in Arizona. The tide in Arizona has shifted quickly. After dominating football in Arizona for two decades, ASU is at a point where it must win for their coach to keep his job and Arizona is in the driver's seat for the state's affection for college football. While momentum has shifted to the Wildcats, this shows just how important it is for a team to keep it and improve upon it. 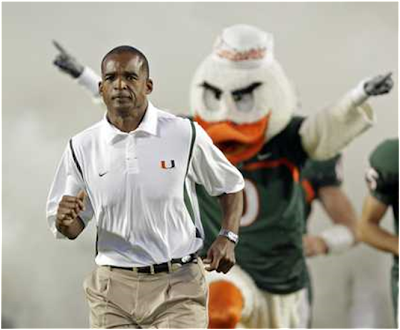 After years of uncertainty, the University of Miami and Randy Shannon agreed to a four-year contract. 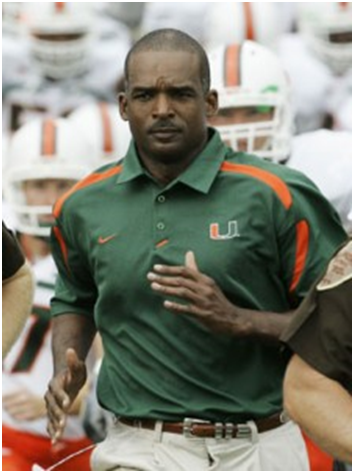 It took a while - a really, really long while - but University of Miami football fans finally know who their coach will be in 2011 and beyond. The same one as the past three seasons. After months -- even years -- of waiting and wondering when and if he would get a contract extension, Randy Shannon has been rewarded with a new four-year contract, the university announced Wednesday night. 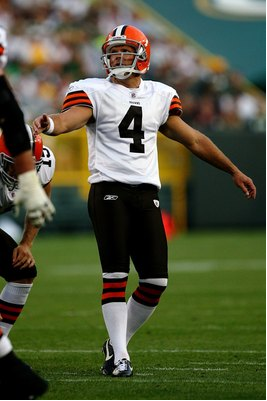 Shannon was about to enter his final season of the original four-year deal. The financial terms of the contract were not announced. 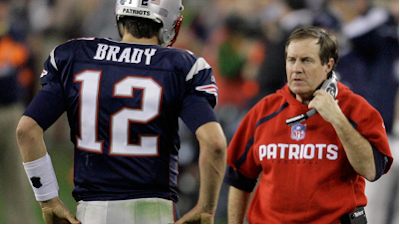 It is believed Shannon started his first season as the coach in 2007 with a salary approaching $800,000 and made about $1 million in 2009. The Associated Press reported that Shannon's new salary will be ``around the midpoint'' of coaches in the Atlantic Coast Conference. ``I think it's tremendous that we have agreed to a new contract,'' UM athletic director Kirby Hocutt said by phone. ``I couldn't be more excited and pleased with the direction our football program has made and will continue to make under Randy Shannon. There was never any doubt in Randy's mind or my mind that we were not going to be able to get this done. It's a testament to Randy's continued leadership that this was announced on the same day that the NCAA announced that the UM football team's Academic Progress Rate scores in the top-10 percentile in the country. Shannon, 44, is 21-17 since taking over the program after Larry Coker was dismissed. He finished 9-4 last season, with the Canes losing to Wisconsin in the Champs Sports Bowl. 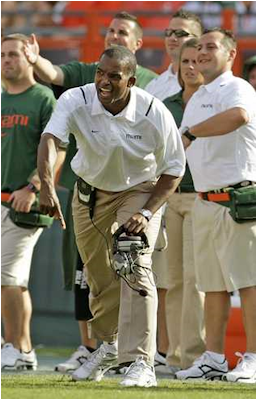 The 2010 season will be Shannon's 17th on the football staff at Miami. 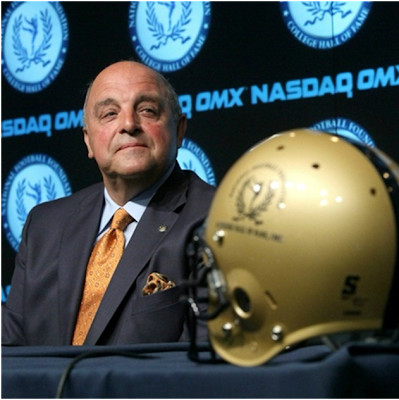 He was the defensive coordinator for six seasons, linebackers coach for five and defensive line coach and graduate assistant for one year apiece. As delighted as anyone to hear the news: UM quarterback Jacory Harris, who will enter his junior season with UM expected to be ranked in the Top 25. Former UM defensive tackle Cortez Kennedy, 41, whose name is enshrined in the UM Ring of Honor and played with Shannon for one season in 1988, was ecstatic when he learned the news. 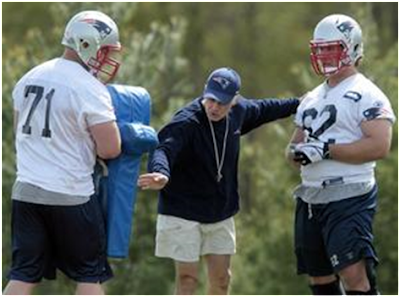 ``If it weren't for Coach Shannon, I wouldn't be where I am,'' Kennedy said. ``He got me in shape going into my senior year and stayed in my apartment, sleeping on the living room floor at night to make sure I didn't go into my refrigerator. From KC Joyner's "Second-Year Itch"
If you step back from looking solely at this year's draft class and instead take in the two combined draft hauls under the new(er) Scott Pioli-helmed regime, you may find some consistencies that could have led us to predict a few of this year's draft picks. And certainly, none of us saw the second round choices coming this year (or even anything after that). On the outside, the two draft classes look completely unique. Tyson Jackson was considered a reach by nearly everyone and it filled a draft need more than the traditional "best player available" approach. It was also a choice where finances of a top-three pick came into play. This year, it was the total oppposite for Eric Berry. Sure, safety was a need, but four (or more) other positions could make that same claim. Yet it was the ability to grab a potentially elite playmaker that earned Berry's name on the draft card, finances be damned. Yet below the first-round picks, it was clear even last year that Pioli apparently loved a certain quality in his defensive backs: sheer athleticism. 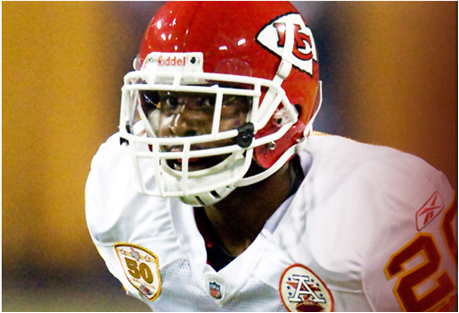 Eric Berry and Javier Arenas share the same trait that they excel with their athleticism. And that's exactly what was written about last year's cornerback, Donald Washington. The knock against Washington was his lack of experience and the questionable choice to leave school when his last year was one where he could excel out from under the shadow of fellow Ohio State corner Malcolm Jenkins. But he still became a fourth round pick, albeit a raw one, for his incredible athleticism, including his 45-inch vertical leap at the Combine as well as his 11'3" broad jump -- the best of any draftees from the class of 2009. Combined with his quickness, Washington still holds a lot of promise as a cornerback in the NFL and should mix well with the new company from the class of 2010. And, after a couple draft classes, perhaps we're making some sense of how Pioli likes his defensive backs to measure up.